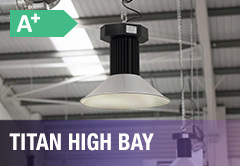 LED alternative to traditional HID or fluorescent high bay lighting in industrial environments. 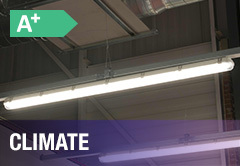 Designed to replace HID or T5 high level luminaires, suitable for suspension or surface mounting. 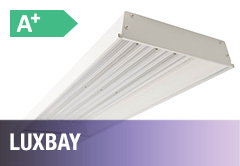 Surface mounted luminaire available as an LED array or alternatively for use with LED T8 tubes. 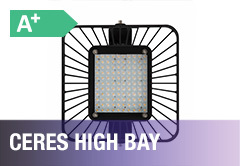 Low profile high bay with advanced passive cooling technologu for maximum LED performance. 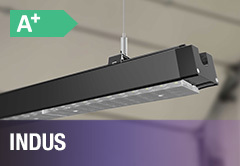 Linkable high output linear lighting suitable for surface, trunking or suspension mounting. 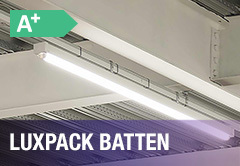 Surface mounted batten powered by a Luceco driver and compatible with batten mounted sensors.